If you somehow haven’t made Valentine’s Day plans yet (and yes, I count staying home and groveling as ‘plans’), consider attending this sensorial sensation of a show at Secret Project Robot tonight. In addition to serving as home for the high-energy SSION’s first Brooklyn performance, you can also expect a hefty spritz of performance art, installations, and even perfume. The multi-talented Ziemba will not only be performing some new “boudoir songs” from her soon-to-be-released album ARDIS (which, might I say, doubles as a “feminist sci-fi fragrant musical”), she has also created a new fragrance specifically for tonight. 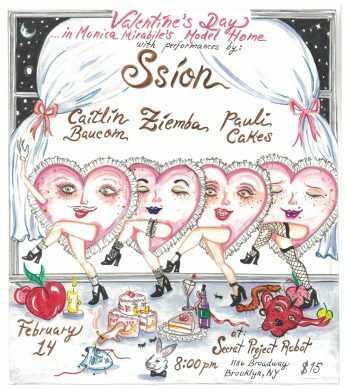 On top of all that, Ziemba and SSION will be joined by performance art vixens Caitlin Baucom and Pauli Cakes, and they’ll be doing their thing in an installation created by Monica Mirabile that was once likened to a “modern Brooklyn dollhouse.” Plus, if you wear Valentine’s colors, you could score a free beverage. So, open your heart (and your nose) and get to SPR. The day after Valentine’s Day (or, the day after Ash Wednesday, depending on how you like to spend your time) is an interesting day. Maybe you’re hungover. Maybe you have regrets, like how there’s now ash all over your pillow, oops. Maybe you are very happy. Or maybe it is just like any other day. 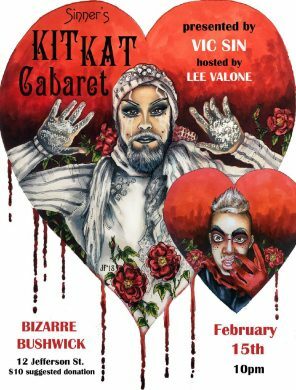 However you’re feeling, you can either get away from or lean into those feelings on good old February 15 at producer Vic Sin and host Lee VaLone’s monthly burlesque and drag bonanza. The lineup is stacked with performers aplenty, including Crimson Kitty, Darlinda Just Darlinda, Munroe Lilly, Theydy Bedbug, and more. Come get your heart broken, or even patched up again. New York City wasn’t always called New York City. 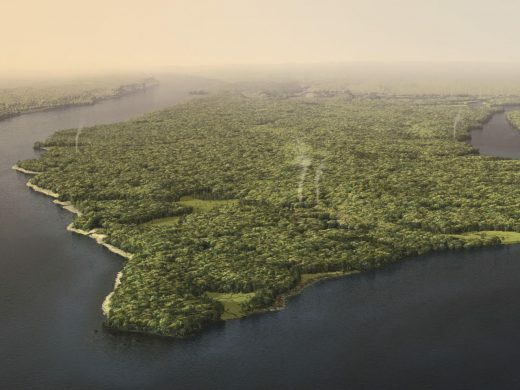 It was once predominantly known as Lenapehoking, or land belonging to the Native American Lenape people. Why might many people not know this? Well, my friends, I’d suggest you look into a little thing called “colonialism” or perhaps “genocide.” Included in this territory is the East Village, location of many institutions throughout the years, including the recently renovated (and renamed) Performance Space New York, fka PS122. One of the venue’s first endeavors after all these changes is known as the East Village Series, exploring the history of the neighborhood and the art that has been made in it. Saturday’s program is part of a partnership with the Lenape Center, and features a talk from the Center’s co-founder and executive director, and a performance by artist Nathan Young, who will spin a tale of Lenape migration using poetry, sound, folktales, anthropological data, and his own experiences as a Lenape. Some people enjoy harsh noise. Some people enjoy drag. If you are someone who takes particular delight in both of these, then boy do I have the show for you. 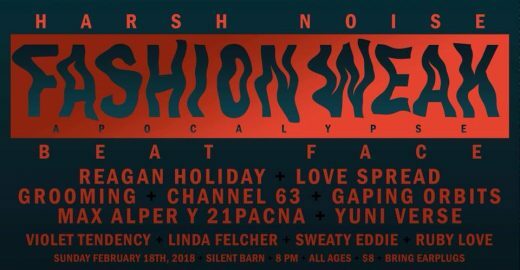 Yes, it’s Harsh Noise Beat Face, which combines the harshest of noise music and the draggiest of drag performers all under one roof. This unlikely performance series you didn’t know you needed is presented by Reagan Holiday, a musician and performer who fully embodies both drag and noise expertly. Other memorable components of the lineup include the energetic “post-J-pop” duo Love Spread, emo hyper-queen Violet Tendency, the excellently-named Linda Felcher, and many others. Plus, there’ll be a runway to kick off the night, where anyone can strut their stuff. Oh, and please, bring earplugs. You can even bedazzle them if you’d like.